Nothing actually to do with olives! This is thinly sliced beef wrapped round a choice of stuffing. Just slow braise in the oven with vegetables and gravy for an easy, inexpensive and frankly delicious supper. 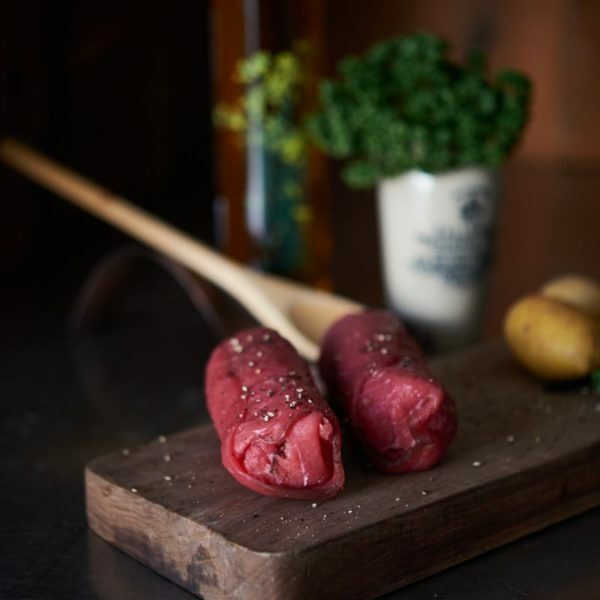 Beef Olive with Haggis Stuffing is thin beef steaks wrapped round a lovely haggis stuffing. Beautifully tasty with the haggis adding a delicious spicy taste to the meat as you slow cook it. Thinly sliced beef wrapped round an oatmeal stuffing, our Beef Olive with Oatmeat Stuffing is easy, inexpensive and the perfect comfort food. Just slow cook it in the oven with vegetables and gravy and that’s supper sorted. 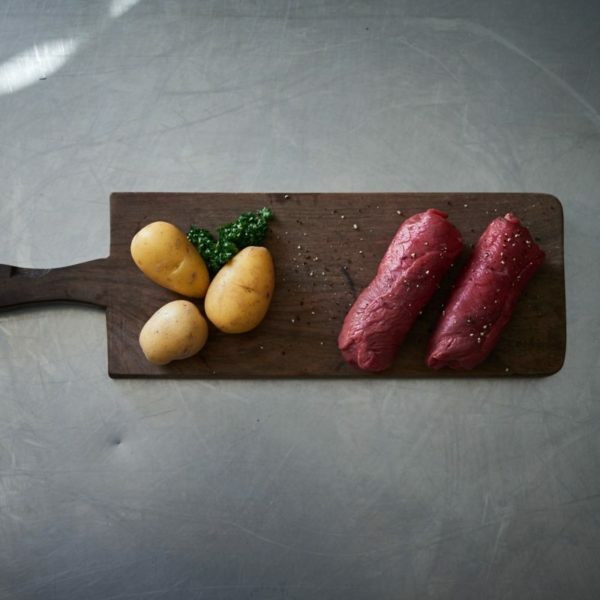 Our traditional Beef Olive with Sausagemeat Stuffing – slow cook for a low-hassle, low-cost delicious supper. Remove all packaging and allow to sit for 15 minutes to bring up to room temperature. Place in a casserole dish and add gravy to cover and cook for 90 minutes on 180oC in a fan assisted oven or Gas Mark 5. Beef (50%), Filling (50%) [Onion Lorne (Beef (43%), Beef Fat, Water, Rusk (WHEAT Flour, Ammonium Bicarbonate (E503ii)), Seasoning (Salt, Spice Extract (Pepper, Nutmeg, Coriander, Pimento, Cayenne)), WHEAT Flour, SOYA, Phosphate Stabiliser (E450(iii)), Sodium Metabisulphite (E223 contains SULPHITES), Dextrose, Flavour Enhancer (E621), Antioxidant (E301), Nicotinamide, Colour (E120)), Pepper, Salt]. This product may contain traces of EGG. Beef (50%), Filling (50%) [Ox Lungs, Beef Fat, Ox Liver, Ox Heart, Water, Beef Meat (5%), OATmeal, Dried Onions, Salt, Spices)].